In connection with the award week, the Swedish Institute arranged a media visit focusing on Swedish literature for young readers as well as reading promotion activities. Journalists from eight countries participated (Russia, Serbia, US, Mexico, Germany, France, China and UK), and the extensive program contained meeting with Helen Sigeland, ALMA director, and Larry Lempert, jury chairman and head of the International Library in Stockholm, Swedish Institute for Children’s Books, publishing house OLIKA etc. 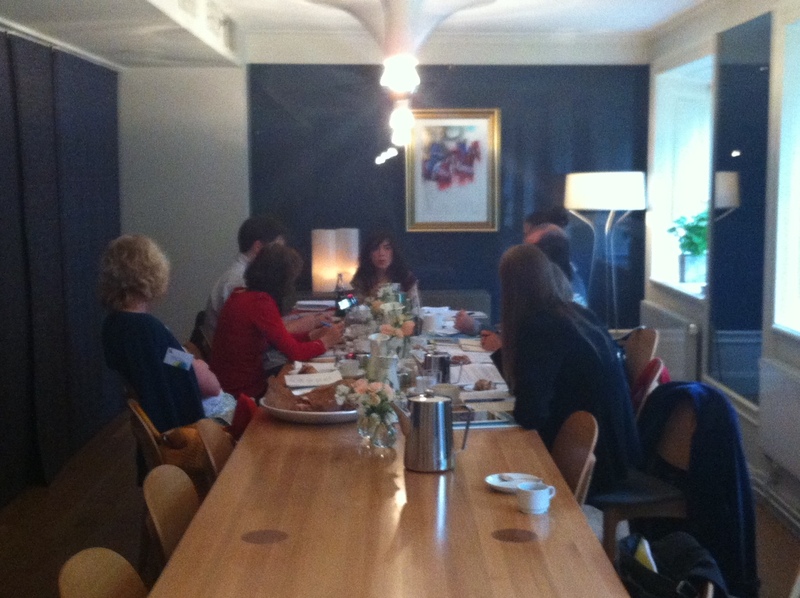 But the first point on the agenda was a meeting with Isol at the Skeppsholmen hotel in Stockholm. To exhibit Children’s right to culture, one of the most prioritized goals in the Swedish culture politics today, the Swedish institute has produced a film about Swedish children’s culture pushes boundaries while respecting the child’s perspective, available here. This entry was posted on May 30, 2013 at 12:28 pm and is filed under 2013 Award Week. You can follow any responses to this entry through the RSS 2.0 feed. You can leave a response, or trackback from your own site.